We’ve got a head for business. So you can get ahead, too. 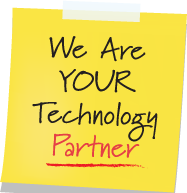 At Vantage Point Solutions Group, we’re always looking for new ways to help our professional services clients make the most of their IT investment. You see, we’re more than an IT services company. We’re an IT services company with a head for business. We keep abreast of the latest technologies and trends, so your practice is never left behind. And because we understand your professional services business, we proactively recommend improvements to your network that will keep you at the top of your game. All the services you need. At a price you can afford. Today’s IT budgets are tighter than ever. That’s why we offer competitively-priced fixed-fee service plans. We’ve carefully calibrated our services to provide all the power and flexibility our clients need at prices that make sense for your business. One size never fits all, so we tailor our services to fit your situation. You get the expert care you need without the surprises. That’s a winning combination. A major reason clients choose us is our friendly, approachable style. That translates into less stress for your team, even in an emergency. You are just as important to us as your clients are to you, and we make an extra effort to put you at ease. And when you have a question, we give it to you straight, without all the tech speak. Don’t get held back by your I.T. Contact us today for a free consultation!